Are you too busy to read books, newspapers or favorite websites? Or maybe you have health problems that make reading difficult? If so, then you must try this app. 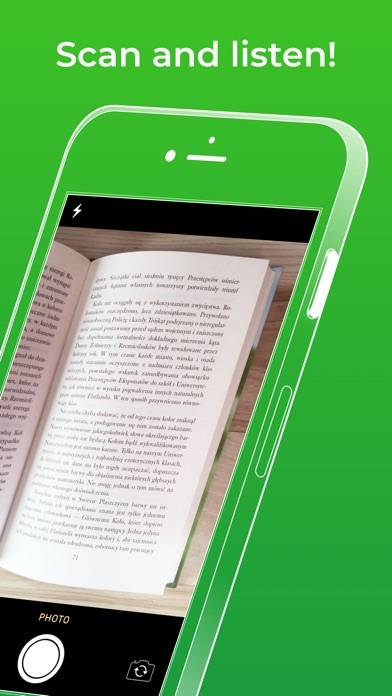 The app can read aloud any text document, e-book, website or paper book. 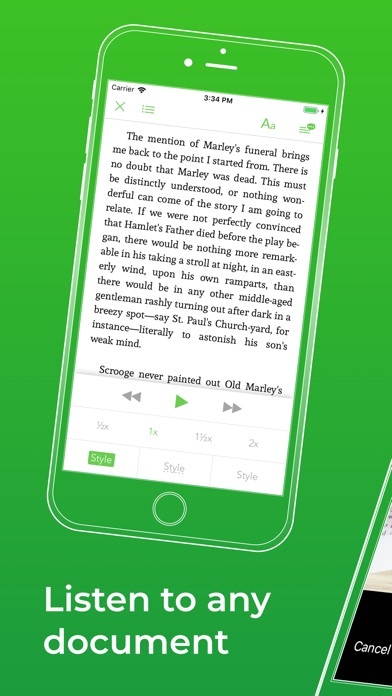 Voice Aloud Reader - text to speech (TTS) converts text to natural sounding voice. 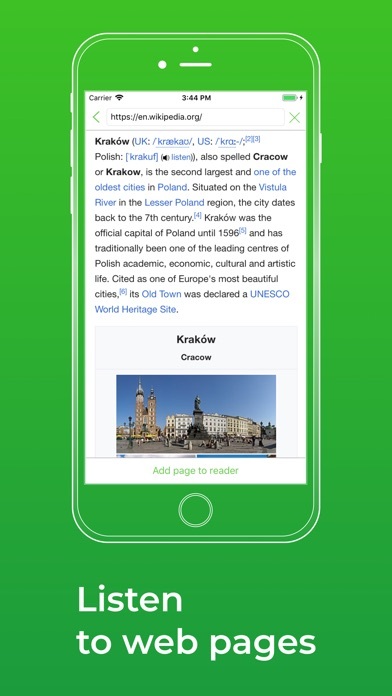 The highest quality text to speech App available for the iPhone, iPod Touch, and now iPad! Use iTunes to share files between your computer and the app. 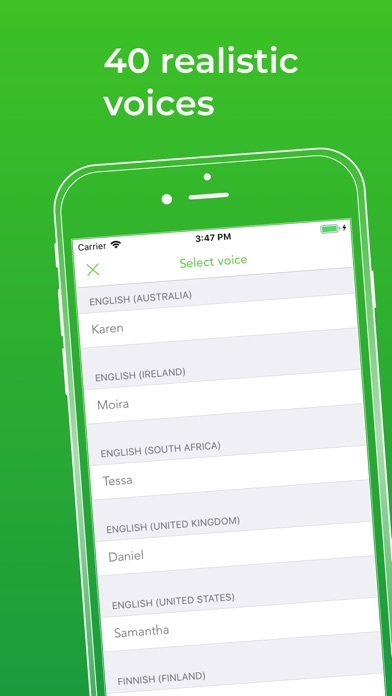 VOICES SUPPORT Choose from 40 languages, listen in different voices BOOKS SUPPORT Supports the most popular text formats CUSTOM INTERFACE Customize the font and the read mode at your own discretion CUSTOM SETTINGS Change pitch, volume and speed of reading Supports text-to-speech in the following languages: English, Chinese, French, Albanian, Icelandic, Polish, Korean, Japanese, Catalan, Afrikaans, Danish, German, Russian, Finnish, Haitian Creole, Dutch, Czech, Croatian, Latvian, Romanian, Macedonian, Norwegian, Portuguese, Swedish, Serbian, Slovak, Swahili, Turkish, Welsh, Spanish, Greek, Hungarian, Italian, Hindi, Indonesian, and Vietnamese.